Elite Blog Academy is a popular blogging course geared towards new and established bloggers. I'm reviewing Elite Blog Academy for 2019. The new, updated course is called Elite Blog Academy 4.0! I took Elite Academy 2.0 but waited to write my review until nearly a year later as I wanted to be able to give an honest review. Since taking the course, EBA has received a couple of big updates! Please note, I updated this post on February 10th, 2019 to reflect any new information. However, every time the course gets up update (students get lifetime updates, yippee! ), I go back through the course and update important information, such as what's included in the course. Elite Blog Academy 4.0 is the current edition of the course that will be available March 2019. It's amazing what can happen over time. At the time of writing my first review of Elite Blog Academy, I had officially been blogging for a little over a year. I started my blog in 2015 and took EBA the same year. Now here I am four years later and still going strong! I thought it would be helpful to share my original Elite Blog Academy review that I wrote one year after taking the course, as well as provide an update with where I am today. Before I signed up for EBA, I did a lot of research. A lot! I read every single EBA review possible. In addition, I took it a step further to really look at each blogger that wrote a review and checked out their website as well. The reason I wanted to look at each blogger review's website was to see if it correlated to their review. For example, if a blogger said they had taken the course and implemented the material such as creating a product, I wanted to see if the blogger really created a product. If a blogger's review said the course helped them grow their email list, I looked for any email pop-ups and subscriptions. Basically, I was doing extra research and homework to make sure the reviews were accurate. This might have been overboard, but I had never paid for an online course before. I wanted to make sure that I wouldn't have any regrets signing up for something or paying for something that I had never done before. One thing I liked about Elite Blog Academy was the various free blogging workbooks and worksheets they provided. This gave me a feel for the teaching style, how material would be presented, etc. It's also important to own your website as well. I had already started blogging here on Believe In A Budget, but you can also start the course as a complete beginner with a brand new blog. Part of the course will walk you through how to create the right kind of content, provide you blogging ideas and more, so being an experienced blogger isn't necessary. 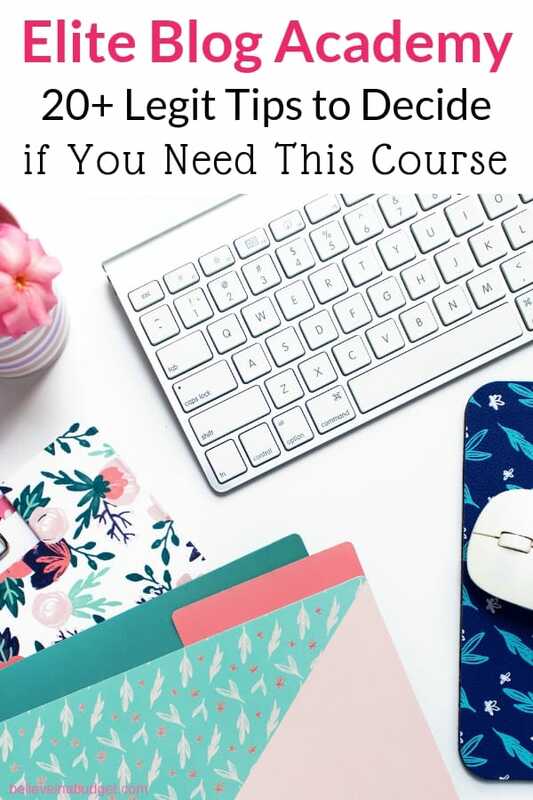 If you can get your blog set up before you start going through the course that would save you a little bit of work so you can focus solely on the course material. At the same time, Elite Blog Academy only opens once a year. If you have been waiting to start your blog, you can always sign up for the course when enrollment opens and then start your blog. Since you have 24/7 unlimited access to the course material, this isn't a big deal. How to pick a name for your blog. This is super helpful if you are deciding between using your own name or a blog name. Over 50+ blogging ideas that you can write about. How to get your domain name for free (this will save you $15). Step-by-step instructions with pictures on how to set up your website. You can read this blog post about how to start a blog. I started my blog like most other people – I just went for it! 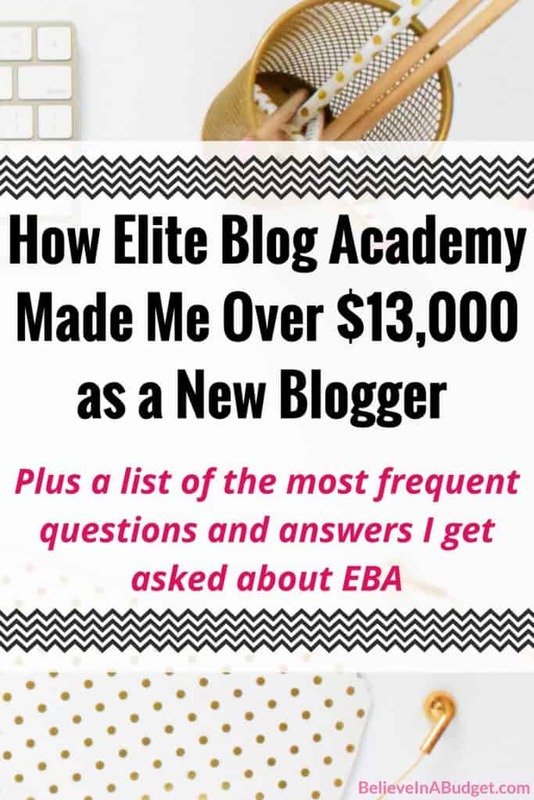 One of the best decisions I made early on was to join Elite Blog Academy when it opened for enrollment. I was so excited to join! The course schedule lasted for 12 weeks, but I could go at my own pace and had 24/7 access. If you want to get on the waiting list for EBA, you can sign up here. EBA only opens once a year in the spring so enrollment is limited. The nice thing is when you sign up ahead of time, you receive a few free goodies on blogging that are super helpful! You definitely need to get on the list if you are a new blogger and it doesn't matter what time of the year you sign up for the list. I went from 1,000 page views a month in January to 160,000 page views in December, which is a big increase in blog page views. Today I receive over 200,000 page views a month! 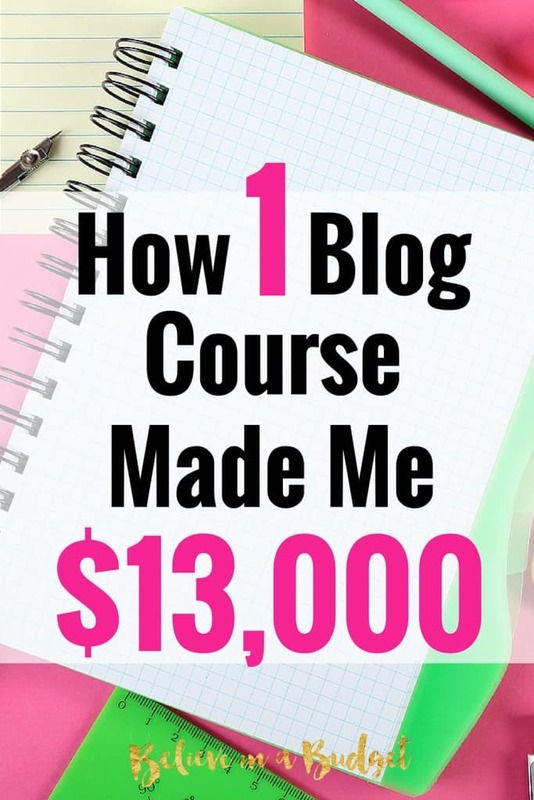 I earned over $13,000 from my blog within 6 months. This was such a confidence boost! *Update – I made over $91,000 online in 2016! *Update – I made $289,000 in 2017! *Update – I made over $500,000 in 2018! I learned how to reach out to brands directly for sponsored posts, which was something I had not done before. 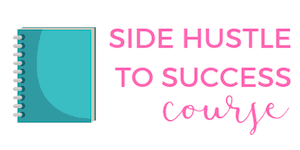 I launched a line of my own products, including courses and digital downloads. That's a lot of accomplishments! 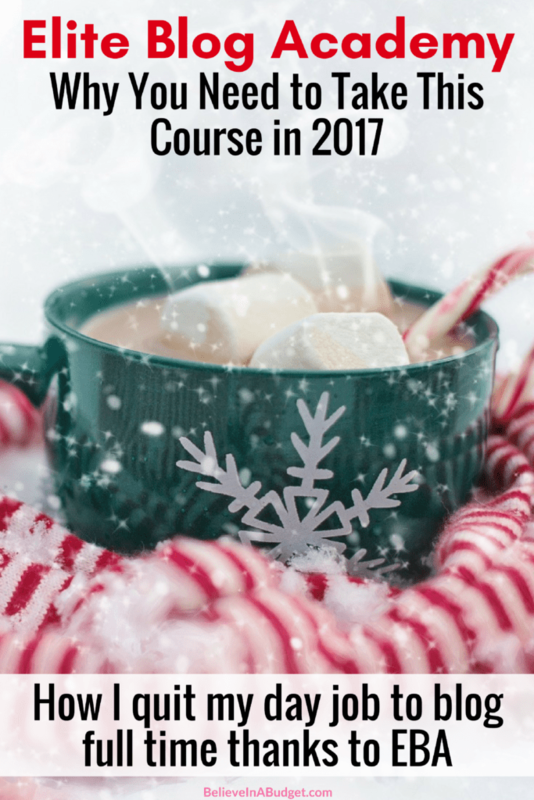 At the time of signing up for this course, my blog was only a few months old, so I passed some amazing milestones last year. EBA provided me with the tools, information and guidance I needed, but I'm the one who had to take all this knowledge and apply it myself. I hustled hard to check everything off the list above. If you aren't ready to hustle and work hard, don't bother reading the rest of this post. If you are ready to grow your blog, make more money and expand your horizons, this course is for you. Forums / Private Facebook group – They're gold. It's like combining every mastermind group into one resource. You can find a wealth of information in the group alone. The units have videos, worksheets and printables. Everyone learns differently and I'm so glad there are different teaching platforms. I also printed everything out into a binder – sometimes I printed things twice because I had so many notes and wanted them to look pretty wanted to keep everything organized. Sense of direction and saving time. Prior to the course, I was spending way too much time trying to figure things out. I didn't know anything about plug-ins, guest posting, monetizing with ads – basically I was blogging blindly. I would have saved a lot of time if I just went through the course instead of just trying to do it all on my own. Go in order if it's your first time taking the course. It's easy to jump ahead and read the other units. Read them if you want, but the first few units are like building the foundation. You then use the work from those units towards the later units. Try not to jump around in the course because each unit goes in order for a reason! It's a lot of work! There's no easy button. You have to carve out some time each week to work on lessons. Take advantage of office hours and the private Facebook community. Find an accountability partner. After you sign up, you will be able to view the class roster, so find another blogger to team up with on assignments. Today, some of the bloggers I worked with initially are now my closest friends, which is awesome! Everyone is super friendly and helpful. Q: What makes Elite Blog Academy different from other blogging courses? A: EBA goes over so many different aspects of blogging and let's you really dive in and explore. Elite Blog Academy doesn't have a preference over one aspect of blogging being better than another. You will equally learn about writing content, the importance of an email list, various ways you can make money blogging, how to create products, etc. Because each module is so in-depth, even implementing one lesson will have an impact on your blog. Everyone has different blogging goals, so there's an excellent chance one module will stand out more than another and get you really excited and fired up about your blog. For myself personally, I favored the content creation and learning about digital products. I also loved about all the various ways my blog could earn income. In addition to the course material, there is also a private Facebook group and a student roster. Q: How many hours a week did you spend working on assignments? A: This varied depending on the lesson. I probably spent more time in the beginning because the first few lesson plans really made me stop and think about my blog goals. EBA was also the first course I took online and it had been a while since I had take any type of class since college, so it was a small adjustment to get back into the mindset of learning. I had a full time job and responsibilities (don't we all?! ), so I had to intentionally schedule in dedicated study time each week. Overall, I put a lot of thought into each assignment. Other units were a little less involved and took me less time. I will say that I work slow and am meticulous about getting the most out of every unit, so I probably spent a little longer on units than other bloggers. Everyone is different, but I probably spent a solid 4-8 hours per lesson. Some of the lessons were designed to take two weeks, so that meant I could divide up my time and spend anywhere from 2-4 hours per week. As I mentioned before, students have unlimited access to the course. So if real life happens and you need to take a break from a lesson, you can just pick up from where you left of inside the course. Q: Is EBA only for new bloggers or can an established blogger benefit from this course? A: So the great thing about Elite Blog Academy is that most bloggers go through the course at least a second time or when the course gets an update! Once you are enrolled, you have unlimited access to the course. You also receive all new course content for free as well. This is great because as your blog grows, you are going to end up focusing on different aspects of blogging compared to when you first started. If you have already been blogging, you will still find different modules helpful for the growth of your blog. With most blogs, there are usually areas that are lagging. It's hard to excel at everything! I often find that even if I can learn a few nuggets inside a course, this can be huge for my blog. Q: Elite Blog Academy is a big financial investment for me…is it worth it? A: I get this question a lot for my own courses, and it's a question I've asked myself when purchasing courses, so I know what it's like to be on both ends of the equation. For myself, I look at any educational purchase as an investment in myself and my future. Sadly, many people only see a price tag but not the value. This is not the right mindset to have. Someone who is serious about investing in their future needs to look at the big picture. If you pay for something and earn your money back, plus make additional income, that seems worth it, right? When I signed up for the course, this is the mindset I chose to have. I did not let a price tag dictate my future. On that same note, the name of this blog is Believe In A Budget, so I understand the importance of money and budgeting. There wasn't a payment plan option for me when I took the course, so I paid in full for the course. Second, I made over $13,000 within six months of taking the course. My blog views also went from something ridiculous like 1,000 monthly views to 160,000 monthly views in the same time frame. That's insane! For me, it was worth the investment and I made my money back and then some. Q: Do I need to have an existing blog to take EBA? A: No. 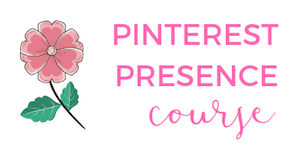 Since EBA only opens up once a year and you know you are going to need blogging help, I would go ahead and sign up for the waitlist so you can be ready for the course. This way once you are ready to start your blog, you will have the tools you need to get started and access to the course 24/7. If you are thinking about starting a blog, this tutorial will help you start a blog today. You’ll also get a FREE domain name for a year! I invested around $100 to start my blog using Bluehost. I would start your blog first and have it setup first, even if it doesn't have any content. Then you can start EBA and be ready to go! Q: Will I benefit from the course if I've already been blogging for a while? A. As an EBA alumni, you'll continue to have access to the course as well as the Facebook group. In addition, EBA gets an update to the material each year. Many alumni will actually go back through the course lessons each year and do an audit with their blog. This can be a great way to review your blog's content, make changes, etc. Q: What's the EBA community like? Is everyone friendly? A. The EBA community is pretty helpful! In 2017, I attended the very first conference put on by Ruth Soukup, the creator of Elite Blog Academy. Hundreds of us met up in Portland and I finally got to meet so many online friends in real life! You can read my review of the conference here. 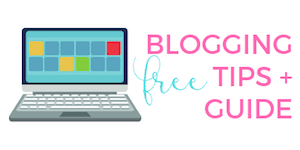 I think pretty much every blogger will agree that EBA allows you to see the bigger picture and helps you figure out that whatever direction you want to go in with your blog, the course shows you how to go about it. Focus on writing, the course will teach you the importance of guest posting, creating a freebie for download, opt-in ideas for new subscribers, etc. Create a product or start a business, the course will walk you through on how to figure out what your product should be. Since taking this course, I've created 3 products! Monetize your blog: EBA will teach you about ads, sponsored posts and working with brands in detail. So bottom line – was the course worth it? Would I pay for it again? Yes! There's no way I'd be where I am now without taking the course. Elite Blog Academy has limited enrollment. The best thing to do is get on the waitlist so you can start learning more about EBA, enrollment periods and receive all the freebies before the course opens! Do you have any other questions about Elite Blog Academy? I am enrolled in Elite Blogging academy now! I am definitely taking my time with the course. It’s such a great course because it covers so many different topics! I just started this same course a month ago. Looking forward to seeing great results. I have seen some already. Yes!! EBA is 100% worth it! Thank you so much for sharing this post. I just signed up for EBA myself and I have a total of 6 posts live! Yippee!! It’s great to read the thoughts of alum who is doing so well. It gives encouragement to so many others. You’re right on the money as far as the resources and all of the information that Ruth provides in the course. Thanks again! Awesome! The course is helpful to so many people! I’ve taken the plunge and registered…it seems like such a massive outlay but I’m excited to see how it goes! Congrats Emma! It’s a big course but you are now a member for life and will be able to go back through the course over and over again. I go back to the course to look for something specific if I’m trying to accomplish something specific as well. I can’t wait to take it again this year! Thanks so much for this post. I signed up for the waiting list tonight. I found your blog via the EBA Facebook page because I’ve been trying to learn as much as possible about the course. Thanks for some insight. Yippee! You are going to love the course. It’s a lot of work, but the more work you put into it, the better your results! Thanks Latasha – let me know if you take the course and have questions!